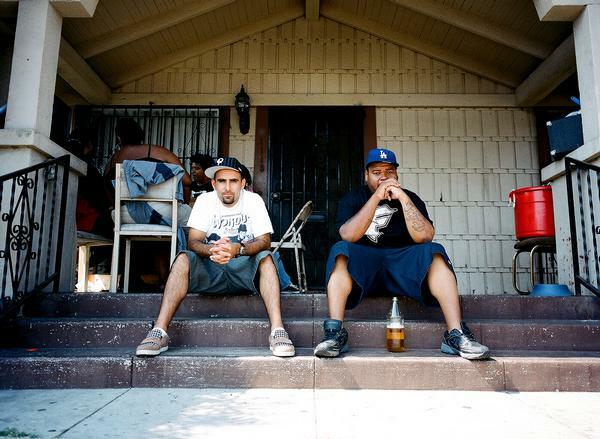 Hip hop from Los Angeles, in the form of People Under the Stairs comes to Neumos on Sunday night, September 12th. The duo, Thes One and Double K, released their seventh LP last year. If you’re lucky they’ll do “the Cat”. 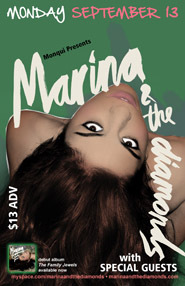 On Monday, September 13th the Crocodile has Wales’ Marina & the Diamonds and Young the Giant. Marina & Diamonds’ song, “I am Not a Robot,” is one of my favorites of the year. 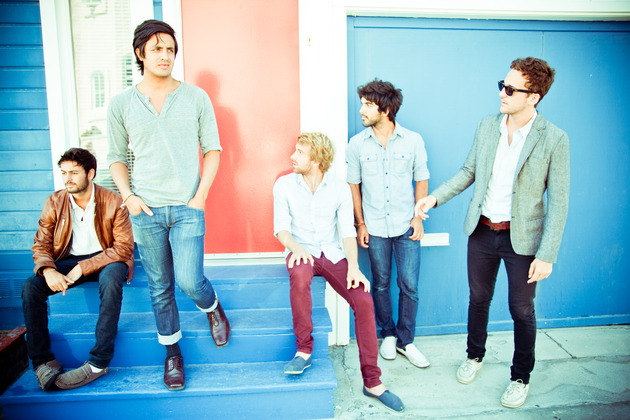 Young the Giant is a, well – young band from California (they’re all around 21). Their debut is set for release on Roadrunner Records in October. Written by: Dagmar on 09/11/2010. This entry was tagged marina and the diamonds, people under the stairs, posted by dagmar. Bookmark the permalink.